Three employees say Tesla's auto manufacturing facility was so hostile to black workers that it was "straight from the Jim Crow era." An assembly line worker says others mocked his pants as "gay tight." An engineer says she was taunted and catcalled on the factory floor, and was fired from the company after she sued for gender discrimination, including unequal pay. Four lawsuits filed in recent months describe a toxic culture at the plant in Fremont, California, where Tesla manufactures its electric cars and where about 10,000 people work. The suits also make Tesla the latest Silicon Valley company to come under scrutiny after workers alleged discrimination. The best-known example is Uber, where complaints of sexual harassment ultimately forced out the CEO. In statements, Tesla told CNN Tech that it takes all complaints seriously. 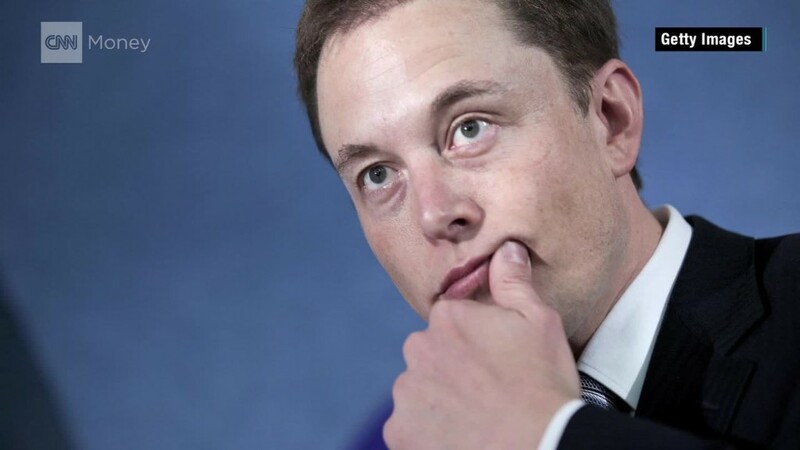 But it said that, "in the history of Tesla, there has never been a single proven case of discrimination against the company. Not one." The workers are suing for mistreatment on Tesla's factory premises, alleging inaction by the company and, in some cases, the third-party staffing companies it contracts with. Those companies are also named in the suits. The plaintiffs, in some cases, say they were retaliated against after they came forward. At least four workers claim they were discriminated against at the factory because of race. DeWitt Lambert, a former electrician, alleges that coworkers called him the N-word and flashed gang signs at him, and that one worker threatened to "cut Mr. Lambert up into pieces and send his body parts to his family members." Tesla, in response, says Lambert frequently socialized with the men he's accusing, that other employees say Lambert used "the same racially insensitive language that he had complained about," and that his complaint to the company about them was an "attempt to turn the tables" because he thought they had reported him first. The company said it fired several employees after investigating, adding "...it's also clear that DeWitt's version of events is not supported by the facts." "There was no objective evidence that anything inappropriate occurred" toward Lambert, the company says in a statement, noting that he was transferred to another work area after complaining to HR about the employees. Tesla said it has suspended Lambert with pay while it continues to investigate the situation. When asked for comment, Lambert's lawyers -- Lawrence A. Organ and Navruz Avloni of the California Civil Rights Law Group -- questioned Tesla's response. "Tesla has admitted to the press that Mr. Lambert's harassers were disciplined. If this wasn't harassment, why did it discipline his harassers?" In another lawsuit filed last week, three people who worked for a Tesla contractor allege that coworkers called them racial epithets. That suit was filed by Demetric Diaz, a production associate, and two elevator operators, Lamar Patterson and Owen Diaz. Tesla said it only learned about the complaints in that suit through media reports, and that the three men never raised a complaint within the company. According to the suit, the plaintiffs did report the problem to Tesla and, in some cases, the third-party staffing companies who employed them and put them to work inside Tesla. Organ and Avloni -- the lawyers representing Lambert in his suit, as well as the other three men alleging racial discrimination in their separate lawsuit -- say they've received an outpouring of calls from current and former employees about discrimination at the factory since Lambert filed the suit in March. "At some point, we were receiving dozens of calls per day," Avloni, a managing attorney at the ‎California Civil Rights Law Group, told CNN Tech. "Most of the calls from Tesla employees are related to race harassment issues, which is reflective of how serious this problem is at the company." The complaints against Tesla go beyond race. AJ Vandermeyden, an engineer at the factory, sued the company in the fall of 2016 for gender discrimination while she still worked there. She alleged that male engineers were paid higher salaries and promoted ahead of women who were equally or more qualified. In addition, she said, she endured "inappropriate language, whistling, and catcalls" on the factory floor, she said. Vandermeyden was fired in May, she claims in retaliation for her lawsuit. Her case is in arbitration, according to her lawyer. The company goes on to say that after hiring an outside investigator, it became "absolutely convinced that Ms. Vandermeyden's claims were illegitimate," and had no choice but to fire her. In fact, Tesla claims that Vandermeyden "was given special treatment and opportunities for advancement that were unwarranted based on her qualifications." In another lawsuit, Jorge Ferro, an assembly line production worker, alleges that a supervisor repeatedly harped on his sexuality, telling him that everyone suspected he was gay, and commenting that his pants were "too tight -- gay tight." He was threatened with taunts to watch his back, according to a lawsuit filed in May and revealed by The Guardian this week. After reporting the harassment to a superior, he claims, he was fired because of an "injury" -- which Ferro said was a scar he'd had for 16 years. He's suing to get his job reinstated, as well as for damages. The case is in private mediation. A Tesla spokesperson said that while Ferro and the supervisor are employed by a third party, "Tesla still stepped in to try to keep these individuals apart from one another and to ensure a good working environment." In its statement, as with the other statements provided for this article, the spokesperson alluded to the misuse of its name in lawsuits to garner media attention. "... it maximizes the chances of generating publicity for their case," the company said in a statement. "They abuse our name, because they know it is catnip for journalists. Tesla takes any and every form of discrimination or harassment extremely seriously. There is no company on Earth with a better track record than Tesla."